Why is the state of Australian football only ever as good as our last performance? Surely we’re tired of starting over, again and again. Our success is usually measured by results. These results then skew our perception of what’s really important for any national sport, that is, to develop talent to be competitive. It’s a cyclical process. It’s time for the fans, media, and all involved at the grassroots to stop the clock. We’re in need of a holiday from the current counter-productive discourse in order to return to the challenges with rational thinking, practical application, and the conviction to implement real change. 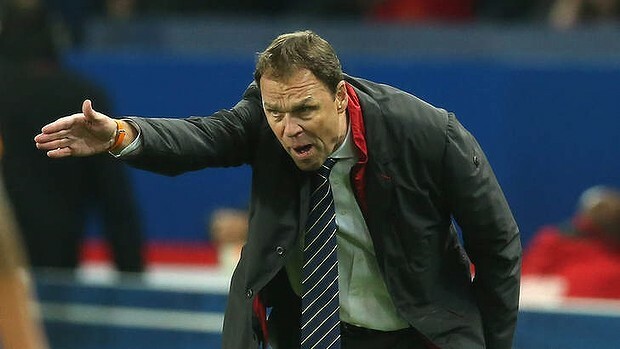 Holger Osieck has been sacked. After two consecutive 6-nil defeats to Brazil and France, it’s hardly a surprise. Pim Verbeek and Graham Arnold’s contracts were not renewed. No one can live up to the narrative of Guus Hiddink. Where Australia’s come undone is not following on from the foundations he established. Instead, Football Federation Australia (FFA) has played political games putting commercial interests before the development of our national teams – that’s all the way down. No matter how many times the question has been asked about our future, it’s always now that counts. When we lose, we look for scapegoats. Reactive? Usually. Proactive? Rarely. Confused? Totally. While I agree that old boys, Lucas Neill, Mark Schwarzer and others should go, blaming them is not the right way to go about it. Accountability rests with FFA. The Board pick the coach, the coach picks the players. It must be said, we have unrealistic expectations in Australian football; an inflated sense of self. We’re not Brazil. We’re not Spain. We’re not Germany. These nations are culturally, ideologically and socially different to us. We’re trying to compare ourselves to Europe and South America, when we’re realistically, more like the United States and some of the Asian nations. Australians are so hellbent on winning that how this comes about is largely insignificant. Well, it is significant. How is why other nations can consistently perform at the highest level. FFA Technical Director, Han Berger, has recently produced an updated National Curriculum. Should this be abandoned? The Socceroos never implemented it anyway, so what’s the point of having one? It doesn’t make sense for our youth to learn a system that they won’t use if they make it to the top. The Socceroos coach runs his own show. Do you think Osieck consulted with Berger over anything football-related? Please. Australian football’s full of inconsistencies. Everyone who’s influencing us is wrong and we know better. How many times have we qualified for a World Cup? How many World Cup games have we won? It’s inconceivable to some that the Socceroos are going through an abrupt transition period. I have no doubt, had the Socceroos lost 6-0 against France (or Brazil) with a youth side, the same people persecuting the old boys would have had a go at our kids. There aren’t a lot of players to choose from when considering replacements for the ageing Socceroos. However, let’s not give away caps to just anyone. Players like Mitch Langerak and Robbie Kruse, fair enough. They play top flight football in the Bundesliga. For others, the shirt must be earned. This debate leads to a critical point, that being, we must improve the quality of our coaching. If we want progressive football, if we want competition for Socceroos caps, if we want to produce homegrown talent, if we want to see A-League players in the national team, we must continue to prioritise coach education in Australia. For the Socceroos, we need to find a coach who can do more than just qualify us for World Cups through Asia. He doesn’t have to be Dutch or German. He does have to be a supreme communicator, a motivator, a technician, a tactician, and an experienced man with a vision. We’ve got eight months to prepare for the World Cup in Brazil.